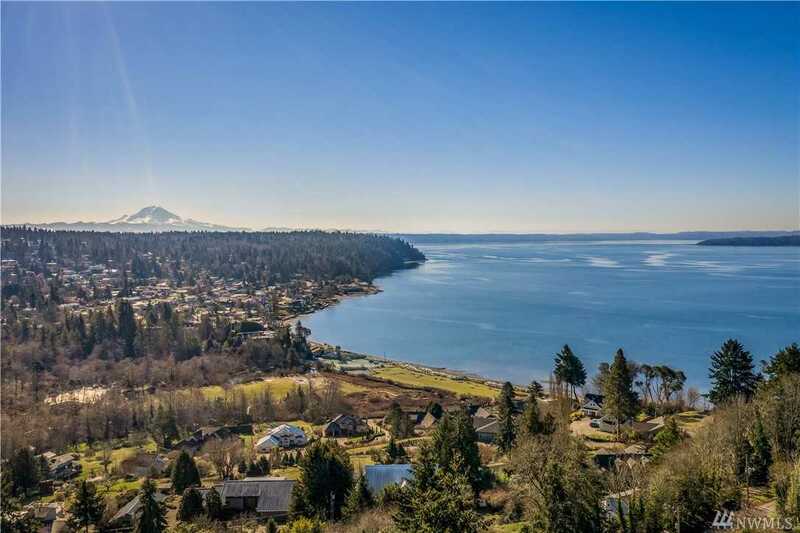 Distinguished One-Of-A-Kind Private Home w/Breathtaking Views of the Sound, Mt. Rainier & Sunsets. Open & inviting main flr w/wall of windows, wrap around deck, hardwd flrs, gas fireplace, soaring ceiling & arresting views! Quality kit w/ gas cooking, deck access, eating nook & built-in shelves. Plus 2 beds, full bath & enclosed porch. Commanding views from upper master suite w/open sitting rm & 5-piece bath. Lower lvl MIL w/own entrance, family rm, kit, bed & bath. Bring your finishing touches! Directions: From 509 S. take the S 160th St exit. Head S on Sylvester Rd SW, home on Right. Watch for Signage.